A new history of the United States that turns American exceptionalism on its head American Empire is a panoramic work of scholarship that presents a bold new global perspective on the history of the United States. Drawing on his expertise in economic history and the imperial histories of Britain and Europe, A. G. Hopkins takes readers from the colonial era to today to show how, far from diverging, the United States and Western Europe followed similar trajectories throughout this long period, and how America's dependency on Britain and Europe extended much later into the nineteenth century than previously understood. In a sweeping narrative spanning three centuries, Hopkins describes how the revolt of the mainland colonies was the product of a crisis that afflicted the imperial states of Europe generally, and how the history of the American republic between 1783 and 1865 was a response not to the termination of British influence but to its continued expansion. He traces how the creation of a U.S. industrial nation-state after the Civil War paralleled developments in Western Europe, fostered similar destabilizing influences, and found an outlet in imperialism through the acquisition of an insular empire in the Caribbean and Pacific. The period of colonial rule that followed reflected the history of the European empires in its ideological justifications, economic relations, and administrative principles. After 1945, a profound shift in the character of globalization brought the age of the great territorial empires to an end. 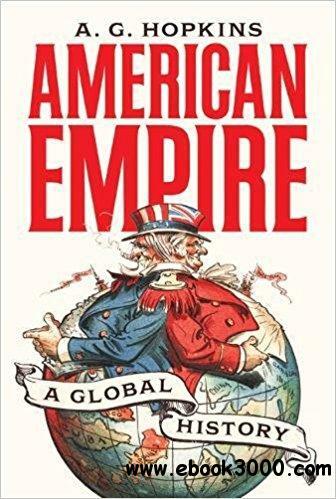 American Empire goes beyond the myth of American exceptionalism to place the United States within the wider context of the global historical forces that shaped the Western empires and the world.